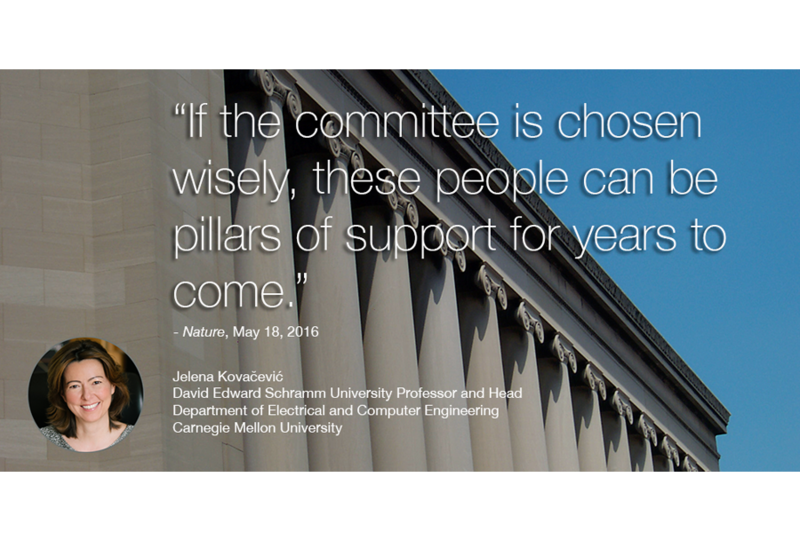 “If the committee is chosen wisely, these people can be pillars of support for years to come,” says Kovačević. The article proceeds to outline how a Ph.D. dissertation committee can impact students after graduation, resulting in students giving back to the university. Read the full Nature article here.